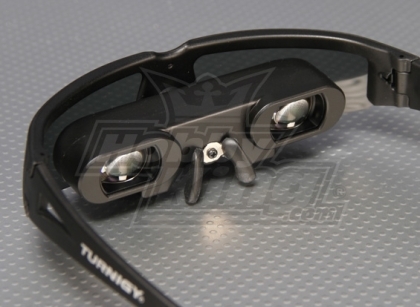 Turnigy FPV Goggles offer exceptional value for money. Featuring a 428 x 240 wide screen Display with AV in, 72in virtual image and a 900mah lithium battery. A great entry-level goggle which can be modified for a ski-mask or used as is for casual not-so-serious FPV fun.